On Sunday 27\1\2019 Ms. Jeanine Hennis-Plasschaert, the new Special Representative for Iraq of the United Nations Secretary-General along with UNAMI Regional Representation Office head, Ricardo Rodriguez and an accompanying delegation visited the main headquarters of the Change Movement( Gorran) in Sulaimani. 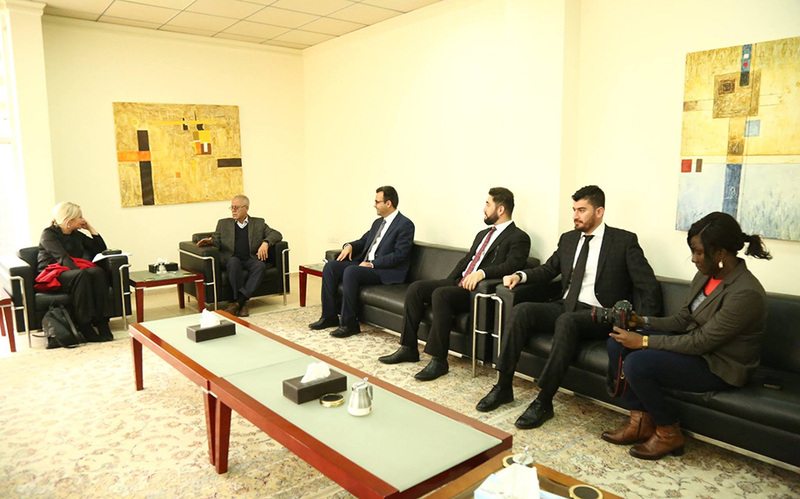 The UN delegation was received by Mohammad Tofiq Raheem, member of the executive body and Hoshyar Omer Ali, Coordinator of the diplomatic relations department and other members of diplomatic relations of the Movement. During a meeting, the two sides discussed the political situation in Iraq and forming the new KRG cabinet and the UN Special Representative expressed concerns over the delay in forming the new KRG cabinet, adding that voters voted to see a representative government in place and called for speeding up efforts to form the new government. For their part, Gorran delegates expressed their own views in this regard, saying that the movement backs the formation of a strong government which serves people and works for improving living standards of people.